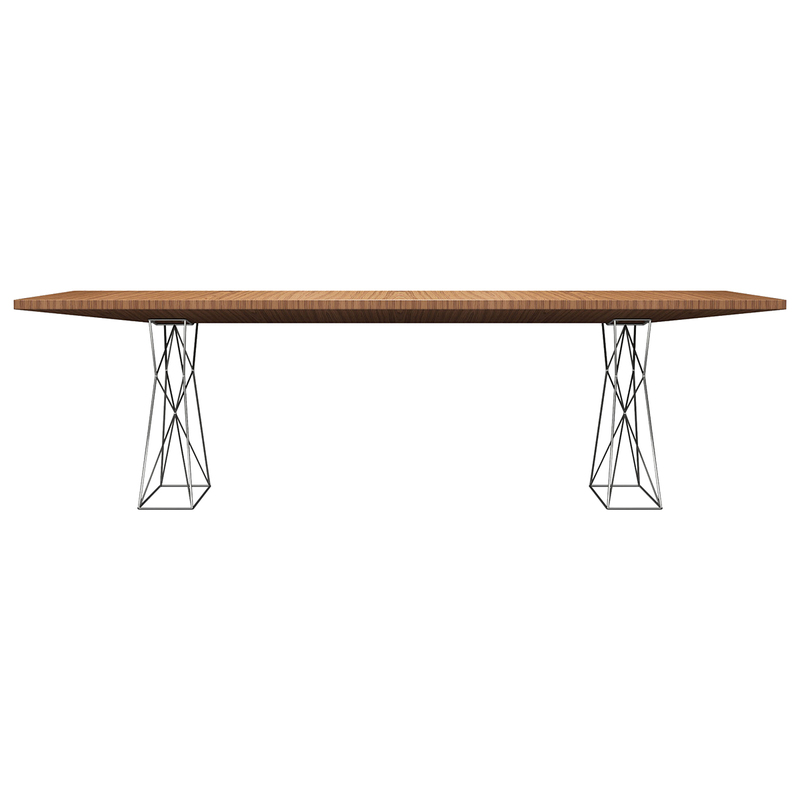 With a bold, sophisticated design, the Curzon Table adds artistry, function, and a stunning modern sculptural element to a dining space. This table’s unique look is sure to impress family members and friends, and its durable construction ensures that it will remain a centerpiece in your dining area for years to come. The Curzon’s distinctive and graceful look comes from its sculpted wire frame legs and its gracefully angled top. The table can be customize to suit your unique needs; choose painted or stainless steel legs, a wood or lacquered top, and a table size that seats 8 to 10 or 10 to 12. 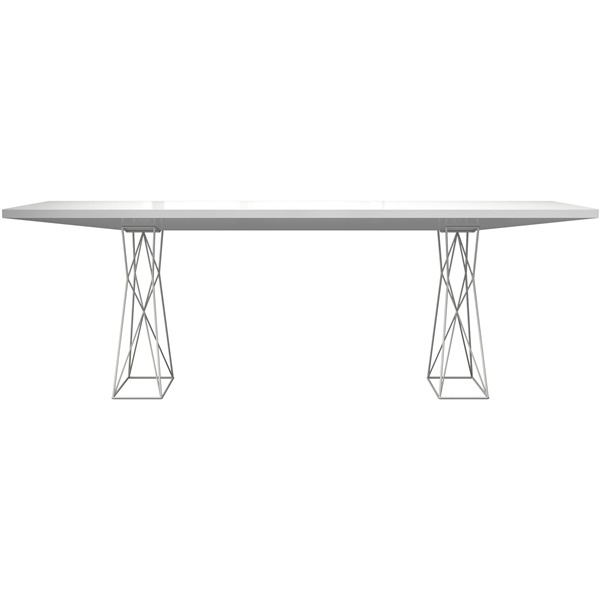 The Curzon Dining Table is constructed in Brazil and has wire, stainless steel legs that keep this table afloat. 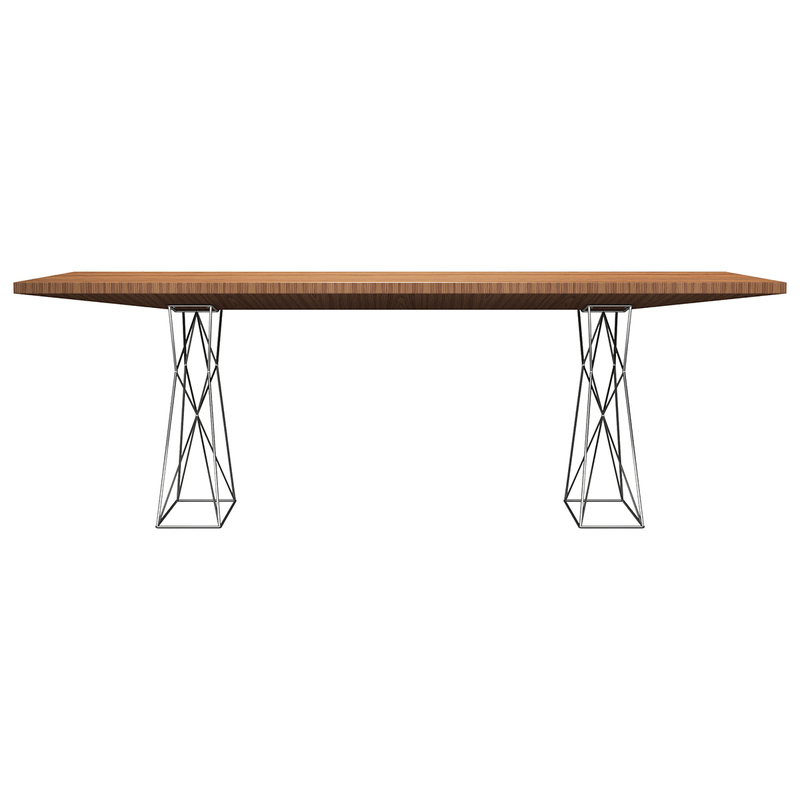 With the Curzon Dining Table, you’ll have all hands on deck and all guests in their seats, eager to dock at your dinner table. Open-design stainless steel base for eye-catching style and enduring stability. Quality, eco-friendly Teak hardwood for lasting performance. Seats up to 10 comfortably. Sleek and unique silhouette for modern aesthetic.